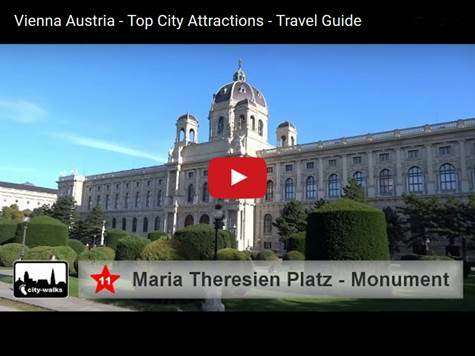 Explore the top 10 attractions & sights in the center of Vienna and the highlights of the city. 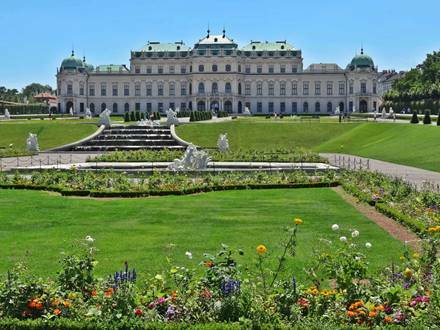 The Austrian capital is located in the center of Europe and is graced with impressive buildings, monuments and parks. Learn more about it here. Click on your favorites to see further pictures and more useful information. 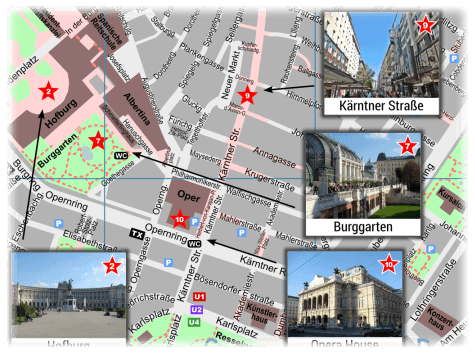 The city-walks Vienna Tourist Map will help you with quick and easy orientation. 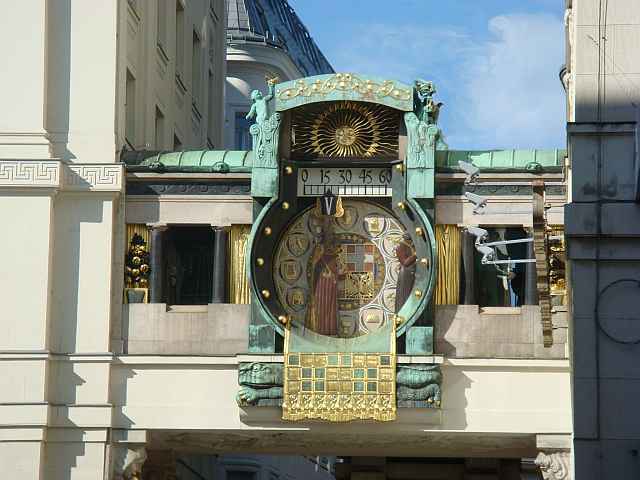 You may use either the free PDF download or the interactive online map to discover the city. 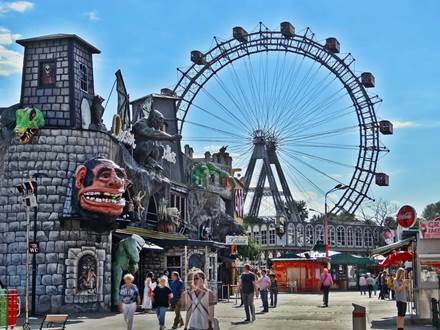 The City Card Test will support you in finding the best all-inclusive offer for your sightseeing tour. 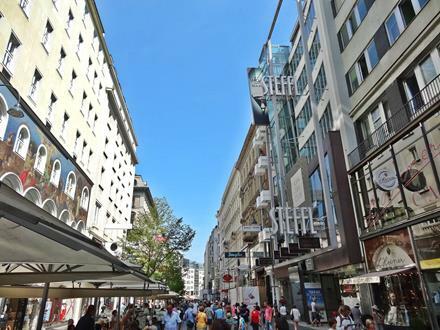 So you can completely concentrate on the beauties of the city without worrying about the costs. 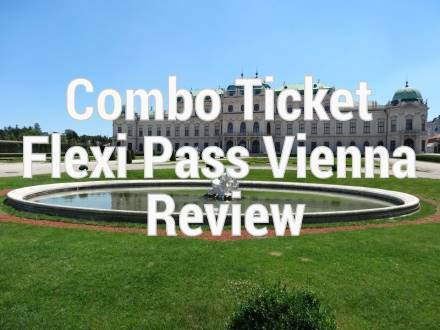 Please click on the different attractions to read more information and tips. 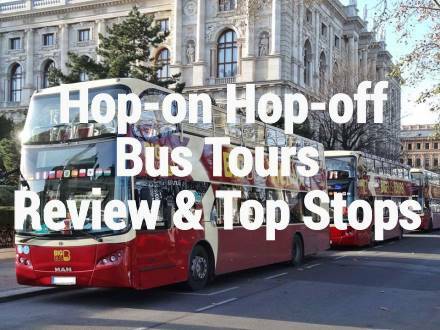 Get recommendations about the different visit opportunities with the most important related links and a detailed online description of the associated history. 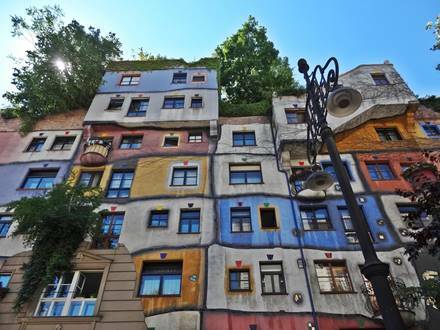 See pictures in different perspectives and where to find the closest Metro station. 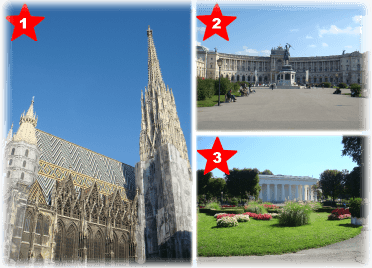 With these details it's very easy for you as a tourist to decide how and where to spend your valuable time during a city trip in Vienna. A short and compact version of these descriptions is also available as a PDF file for free downloading. 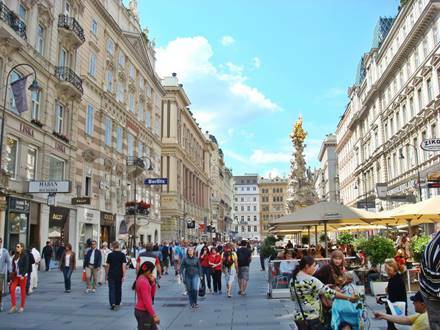 This summary sheet is perfect suitable for print out and take along at your sightseeing tour through the center of the city. 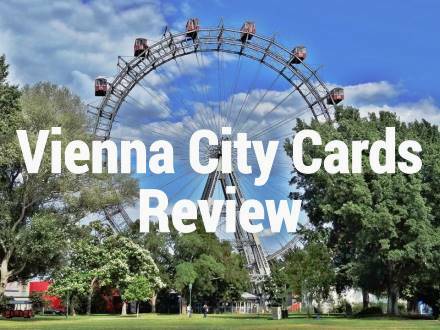 The most important information to the top 10 attractions of Vienna is displayed here in compact style on an A4 sheet with some pictures of the sights. To download this document just click on the respective picture. 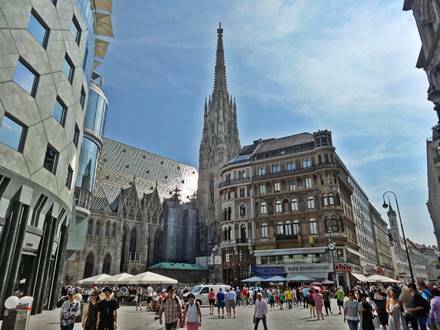 Together with the city-walks map you will have all you need to explore the main sights by a walk in the city center of Vienna.